Self-leveling products are polymer-modified cement that has high flow characteristics and, in contrast to traditional concrete, does not require the addition of excessive amounts of water for placement. Self-leveling concrete is typically used to create a flat and smooth surface with a compressive strength similar to or higher than that of traditional concrete prior to installing interior floor coverings. 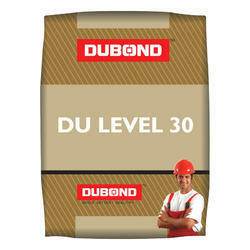 Dubond’s Du Level is a thixotropic leveling product which regulates superficial rheological properties to ensure high fluidity on working tools and a calibrated smooth finish of irregular substrates of floors and walls. 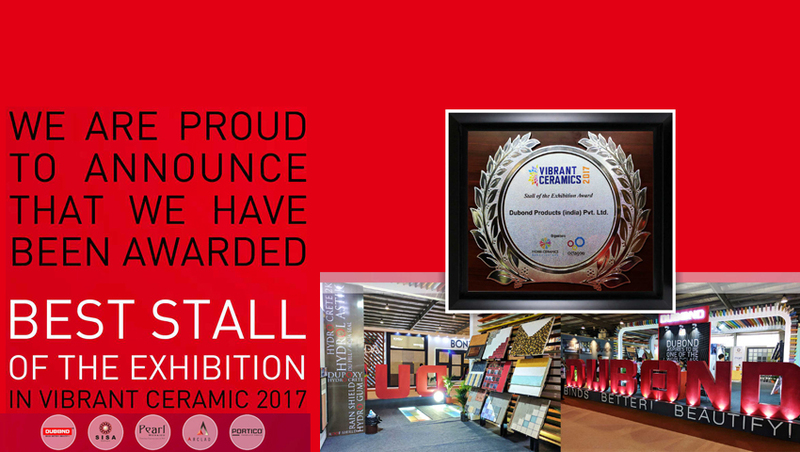 Du Level imbibed substrates have normal setting, co-operates shrinkage and suitability for high resistance, correction upto 10mm thickness. 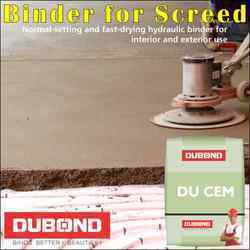 Dubond's DU CEM Self Leveling Chemicals is a eco-friendly, hydraulic, normal-setting, rapid-drying mineral binder for high performance screeds and heat-radiant slabs, dubond ducem, mixed with inert materials of assorted grain size from 0 to 8 mm, creates screeds of high dimensional stability and constant moisture stability, guaranteeing the rapid safe laying of ceramic tiles after 24 hours and hardwood floors after just 5 days. The high resistance binding of screeds happen to the heat radiant slabs. The unique feature of DU CEM screed are normal setting, rapid drying, high thermal conduction and compensated shrinkages. There after the usage of ceramic, Porcelain, Vitrified, Homogenous tiles, natural stones, resilient materials and parquet to such a ready base,possible in least time. Also suitable for screeds with incorporated heating coils.